It was twenty years ago in 1997, when Venezuelan singer, songwriter and bandleader Eliana Cuevas arrived in Toronto, Canada, which she now calls home. Since then, Eliana Cuevas’ career has flourished, and the award-winning singer-songwriter is now one of the most successful Latin American singers of her generations. She regularly tours Europe, Asia and Japan, where she plays songs from her five albums. This includes Golpes y Flores which was recently released by Alma Records. Golpes y Flores is essentially a love letter to her homeland of Venezuela where Eliana Cuevas was born and brought up. However, Golpes y Flores was recorded in Canada, which has been home to Eliana Cuevas for twenty years. By the time that Eliana Cuevas arrived in Toronto, she was immersed in music, and had been since an early age. Eliana Cuevas was born into a musical family in Venezuela, and grew up listening to a soundtrack of Brazilian music, joropo, pop and salsa. Before long, Eliana Cuevas wasn’t content just to listen to music, and by the age of nine, had written her first song. Little did anyone realise that this was how she would make a living later in life. Eliana Cuevas career as a musician began when first moved to Toronto. This was where she planned to embark upon a musical career. There was a problem though, Eliana Cuevas was too young to play in Toronto’s top jazz clubs. This wasn’t going to stop Eliana Cuevas, and with the help of a fake ID, she gained entry to Toronto’s top jazz clubs. Soon, she was singing with various Brazilian, flamenco and jazz groups, which proved good experience for Eliana Cuevas. In 2001, Eliana Cuevas released her eclectic debut EP Cohesión, which showcased a versatile and talented singer-songwriter. Two years later, and became an award-winning artist when she won the Latin American Achievement Award as Vocal Artist of the Year. This was the first of several awards Eliana Cuevas would win over the next thirteen years. Three years after releasing her Cohesión, EP in 2001, and Eliana Cuevas returned with her debut album Ventura in 2004. It was a captivating album, and one where Eliana Cuevas tackled a variety of different subjects. This prompted those with the Toronto music scene to take notice of this up-and-coming singer-songwriter. In 2006, The Eliana Cuevas Quintet embarked upon her first tour of Germany. She was well received and since then, has toured mainland Europe many times. Eliana Cuevas has always been a popular live draw, and her albums have been well received. Three years after the release of her debut album Ventura, Eliana Cuevas returned with her much-anticipated sophomore album Vidas in 2007. It was well received by critics, who started referring to Eliana Cuevas hailed as Canada’s Latin Music Queen. Later in 2007, Eliana Cuevas won the Toronto Independent Music Award for Best World Music Artist. Meanwhile, Eliana Cuevas’ popularity was growing. Not long after the release of Vidas, Eliana Cuevas’ music started to find an audience much further afield. From Venezuela to Germany, Canada’s Latin Music Queen started to reach a wider audience. By then, Eliana Cuevas’ star was in the ascendancy. So much so, that in 2009, Luna Liena an anthology of Eliana Cuevas’ music was released and introduced Canada’s Latin Music Queen to a new and wider audience. By then, Eliana Cuevas was regularly touring Australia, Asia and Europe and working with artists of the calibre of Alex Cuba, Jesse Cook and Jane Bunnett. 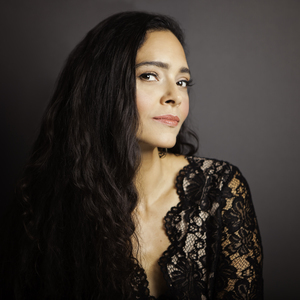 Somehow Eliana Cuevas found time to front the Caribbean Jazz powerhouse CaneFire, the Jorge Miguel Flamenco Ensemble, and work with composer Darren Sigesmund. Still Eliana Cuevas found time to record her a new studio album. By the time Espejo was released in 2013, Eliana Cuevas had been working with some top artists, and become a mother for the first time. Four years after the release of the Luna Liena anthology, Eliana Cuevas returned with Espejo in 2013. It was her first album of new songs since Ventura in 2007. Espejo which was released to critical acclaim, marked a turning point in Eliana Cuevas’ career. Eliana Cuevas explains: “I’d reached a point in my life and career where I wanted to take a few more chances. I decided to explore more of my range as a vocalist and a composer. I wanted to experience something new, even in the recording process itself. If you don’t challenge yourself, art can get stale. On my previous albums, the sound was very much focused on being able to reproduce the songs and arrangements live. On this one, I wanted to do something unique for each piece, but we have still been able to adapt them live.” This was the case with songs on Espejo, which became Eliana Cuevas’ most successful album. Part of the success of the albums was down to the successful musical partnership Eliana Cuevas had forged with her husband Jeremy Ledbetter, who produced Espejo. “He knows me so well. If I need an extra push, he knows I don’t need sugar-coating. I can take it! If you are not really close with someone, you may not feel comfortable pushing like that.” With Jeremy Ledbetter producing Espejo and writing El Tucusito, the result was another award-winning album. In 2014, Eliana Cuevas’ third studio album Espejo won the Independent Music Award for Best Latin Album. 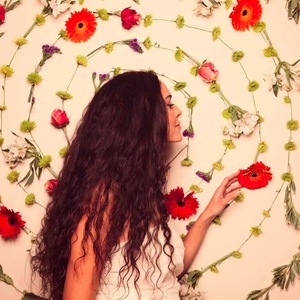 Eliana Cuevas’ also won Toronto Independent Music Award for Best World Music Artist in 2014. Golpes y Flores was also an album that was a love letter to her homeland of Venezuela. Eliana Cuevas explains: “Venezuelan music is very rich and I wanted to showcase some of what my country has to offer musically speaking. I was keen to feature traditional Afro-Venezuelan rhythms and mix those in with what I do here in Canada.” To do this, Eliana Cuevas worked with some top musicians. This included some of the best and most accomplished Venezuelan percussionists, including Adolfo Herrera and Yonathan “Morocho” Gavidi. They were joined by Eliana Cuevas’ usual band, which features some of Canada’s top musicians including drummer Mark Kelso and bassist George Koller and percussionist Daniel Stone. They’re joined by a stellar cast of guest artists which included violinist Aleksandar Gajic, saxophonist Luis Deniz drummer Marito Marques and cellists Peter Cosbey and Jonathan Tortolano. These musicians were part of the tight, talented and versatile band that provide a sympathetic and empathic backdrop for Eliana Cuevas’ vocals on Golpes y Flores which was arranged and produced in Toronto by Jeremy Ledbetter. He also cowrote three of the songs on Golpes y Flores with Eliana Cuevas. These songs, include the album opener Alegria which features an impassioned vocal from Eliana Cuevas. Jeremy Ledbetter and Eliana Cuevas also wrote No Se Puede,and Mi Linda Maíta. These three songs were joined by another seven penned by Eliana Cuevas, who seems to mature as a songwriter on every album. She draws inspiration from both personal experience and the world around her. This is evident on A Tear On The Ground, which was inspired by Eliana Cuevas’ family visiting India. She remembers: “It was a very spiritual experience, I spent a few days doing yoga at an ashram that was right by a lake that had a sign warning people to be careful of the crocodiles. It was a beautiful quiet place where I could go to meditate and it inspired me to write.” The songs it inspired A Tear On The Ground, features one of Eliana Cuevas’ best vocals. It has a purity and soulfulness, as her all-star band match her every step of the way on what’s one Golpes y Flores’ highlights. One of the most moving songs on Golpes y Flores is Mi Linda Maita, which is dedicated to Eliana Cuevas’ grandmother. “She passed away a couple of years ago, and I wanted to honour her.” This she does on a moving and poignant song. Another song that Eliana Cuevas was inspired to write was Poderosa. It: “is about the strength women have and their ability to make life. I wrote it as I was pregnant with my second daughter.” During this celebration of life, there’s a joyousness to Eliana Cuevas’ vocal as keyboards, horns and percussion accompany her. Fittingly, Golpes y Flores is dedicated to Eliana Cuevas’ two daughters. Golpes y Flores is essentially Eliana Cuevas’ love letter to her home country, Venezuela. Sadly, all is not well in Venezuela currently. Eliana Cuevas says: “it is not a secret there are problems there right now, but not enough people know how rich Venezuelan music truly is and I’d like to show the world some of the beauty my country still has to offer despite all of the problems it is currently facing.” The music on Golpes y Flores is the perfect introduction to the delights of Venezuelan music. An important part of Venezuelan music is the rhythms, which Eliana Cuevas references in the album’s cryptic title. Eliana Cuevas explains. “’Golpes’ means hit, often referring to rhythms, while ‘flores’ means flowers. To me, the title suggests a combination of the sophistication, beauty and gentleness of flowers and the strength and force of the Afro-Venezuelan rhythms.” These rhythm play an important part in the sound and success of Golpes y Flores. Playing an important part in the rhythms on Golpes y Flores are various percussionists that feature on the album. They provide an accompaniment to Eliana Cuevas as she breathes life and meaning into the lyrics on Golpes y Flores. 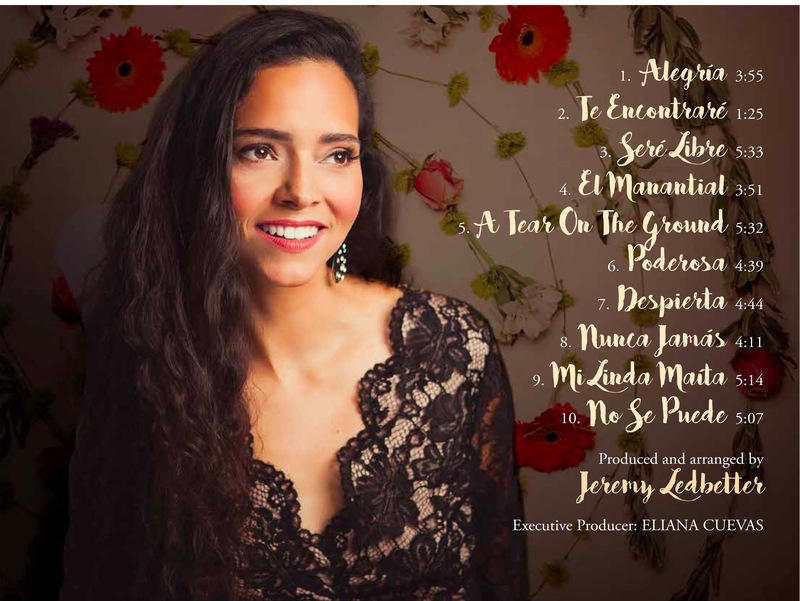 That is the case on the beautiful, heart-wrenching ballad Te Encontraré, and on El Manantial which features a heartfelt, soulful vocal from Eliana Cuevas. It’s another of her finest vocals and showcases a truly talented and versatile vocal. Proof of this Seré Libre, where the tempo rises and Eliana Cuevas delivers an emotive vocal. Her vocal veers between tender to emotive and powerful while percussion helps powers the arrangement along, and keyboards adds an atmospheric backdrop. Despierta finds Eliana Cuevas combining Afro-Venezuelan rhythm and jazz as she delivers another heartfelt and emotive vocal. Straight away, here’s a degree of drama on Nunca Jamás where strings and percussion play leading roles in the arrangement. Meanwhile, Eliana Cuevas’ vocal is full of drama as she lives the lyrics and brings them to life. Closing Golpes y Flores is No Se Puede where Canada’s Latin Music Queen unleashes a vocal masterclass as this beautiful song reveals its secrets over the course of five magical minutes. In doing so, Eliana Cuevas closes Golpes y Flores on a high. 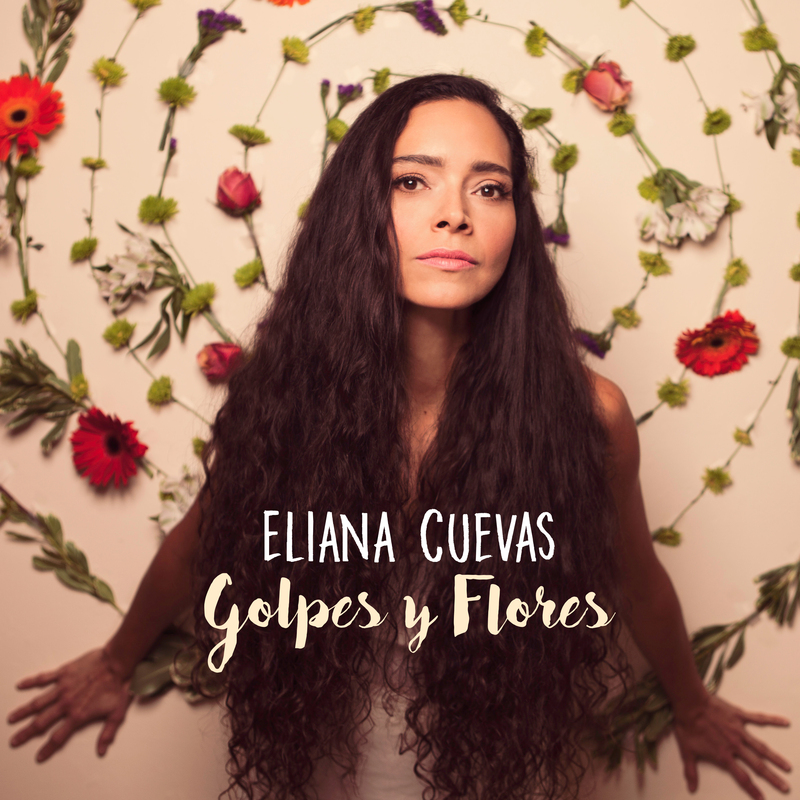 After ten songs lasting sixty-four minutes, Golpes y Flores which is Eliana Cuevas’ fourth studio album and fifth overall is over. It’s a career defining album from the Toronto-based Venezuelan singer, songwriter and bandleader Eliana Cuevas. She reaches new heights on Golpes y Flores, which is a love letter to essentially a love letter to her homeland of Venezuela. During this carefully crafted love letter to her homeland Eliana Cuevas puts to good use twenty years worth of experience. Backed by an all-star band that features musicians from her native Venezuela and Canada which has been home to Eliana Cuevas since 1997. Despite that, the foundation for Golpes y Flores are Afro-Venezuelan rhythms which come courtesy of some of Venezuela’s top percussionists. With the rest of the band, the combine elements of folk, jazz, pop, soul and of course, Eliana Cuevas’ poetic songwriting. This is a potent combination, with the band providing a backdrop as Eliana Cuevas works her way beautiful ballads and uptempo tracks produced by Jeremy Ledbetter. He’s also Eliana Cuevas’ husband, and the pair have been collaborating for many years. The couple wrote three of the songs on Golpes y Flores, and have forged a successful partnership. Their finest hour is Golpes y Flores which was recently released by Alma Records, and finds Canada’s Latin Music Queen Eliana Cuevas reaching new musical heights. ← THE DETROIT EMERALDS-I THINK OF YOU: THE BEST OF THE WESTBOUND SINGLES 1969-1975.